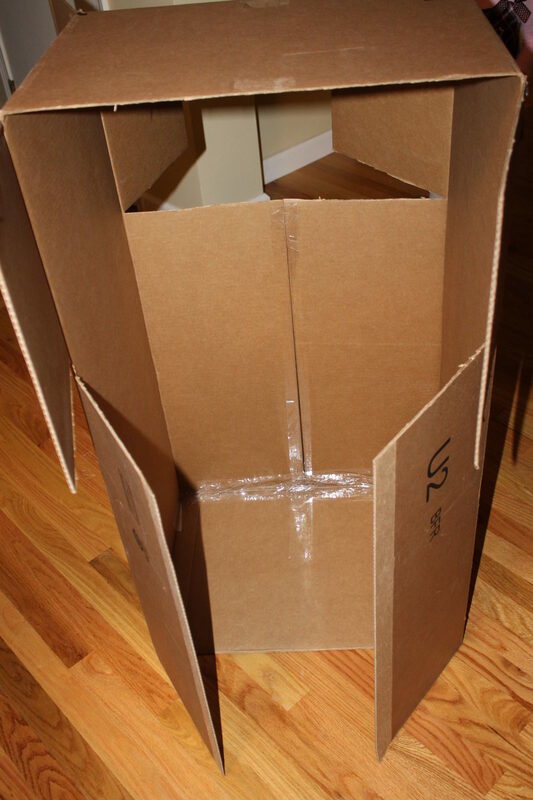 You have always heard that if you give your kids a new toy, that they all they are going to want is the box. It is true. 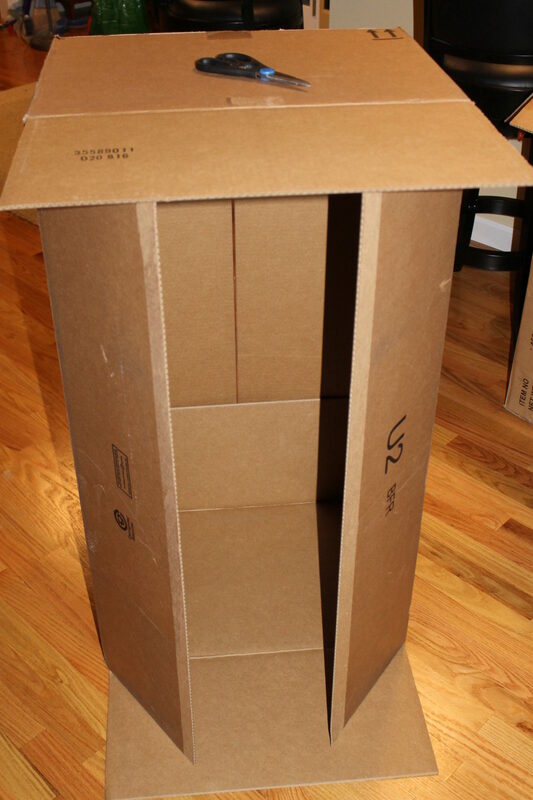 Children love to play with boxes & the bigger the better. I am a big online shopper & just purchased a new floor lamp for our living room. 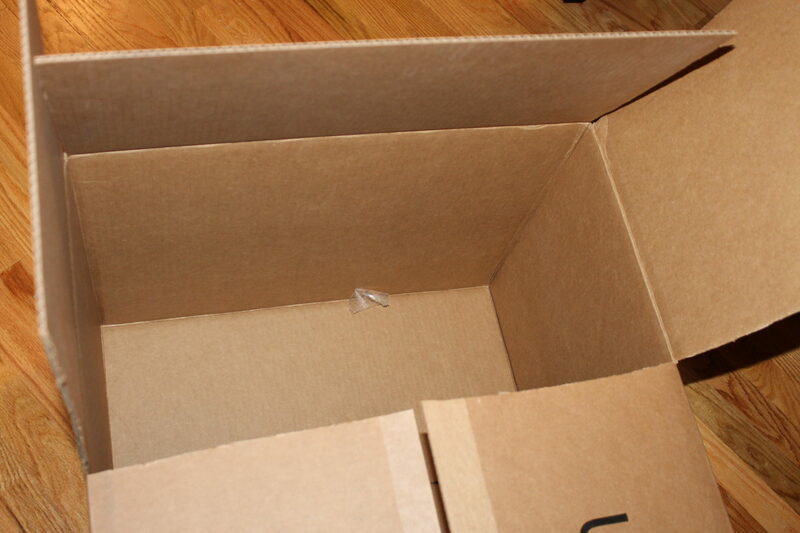 It was packed in a box within a box within another box. The outer box was a huge one. My daughter was excited to jump into each & every one of them & I was excited because I knew right away what I was going to do with the large one. 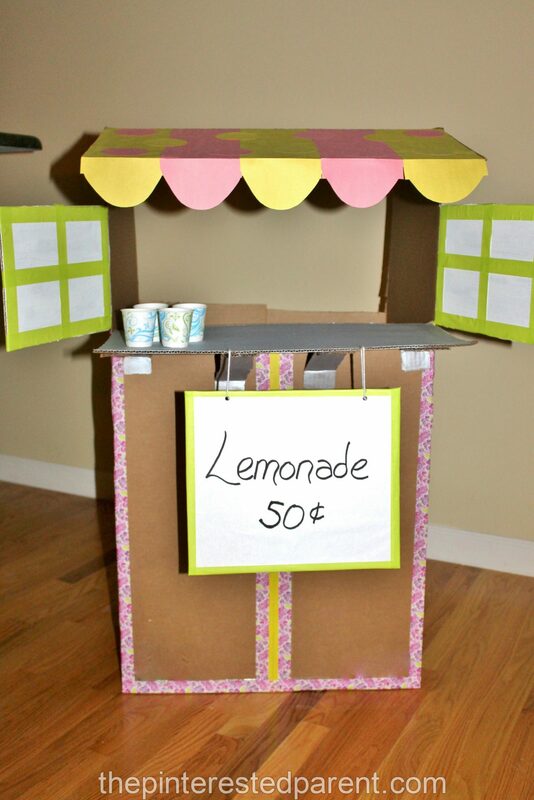 My daughter has been asking me all winter long if she could have a lemonade stand. We set up a table in her playroom a few times & hung a sign, but I promised her that once the nice weather hit, we would build her a special stand for outside. The nice weather definitely has not hit yet, but I could not pass up the opportunity to build her a stand. 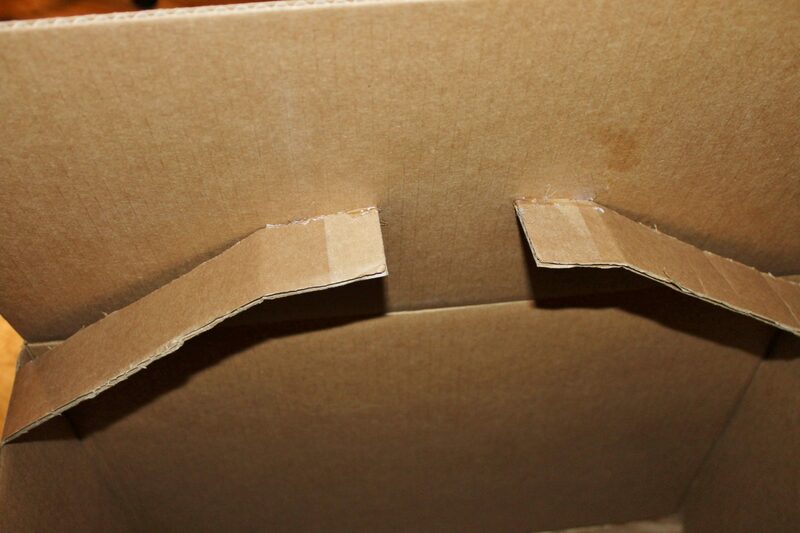 The box was a long one with the flaps on the both sides on the long ends. I opened both ends. 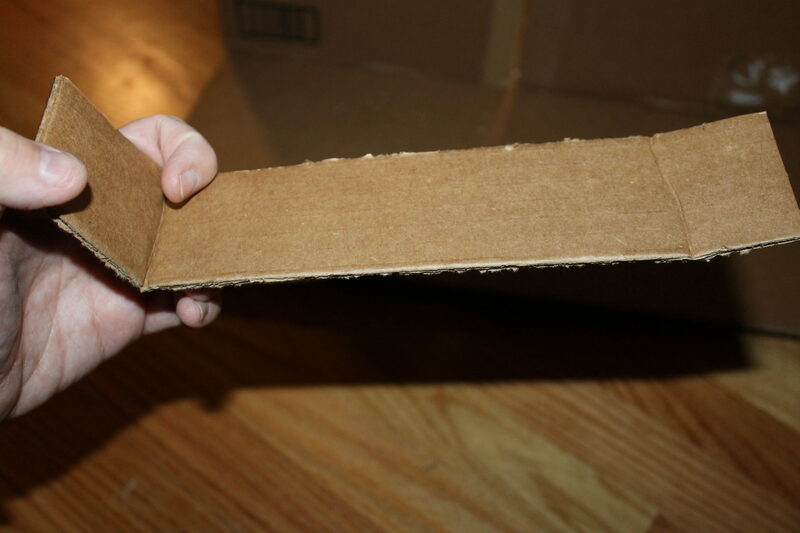 I cut a slit in the cardboard about 1/3 of the way down on both sides. On the side that would be my front, I kept the top & bottom side flaps. 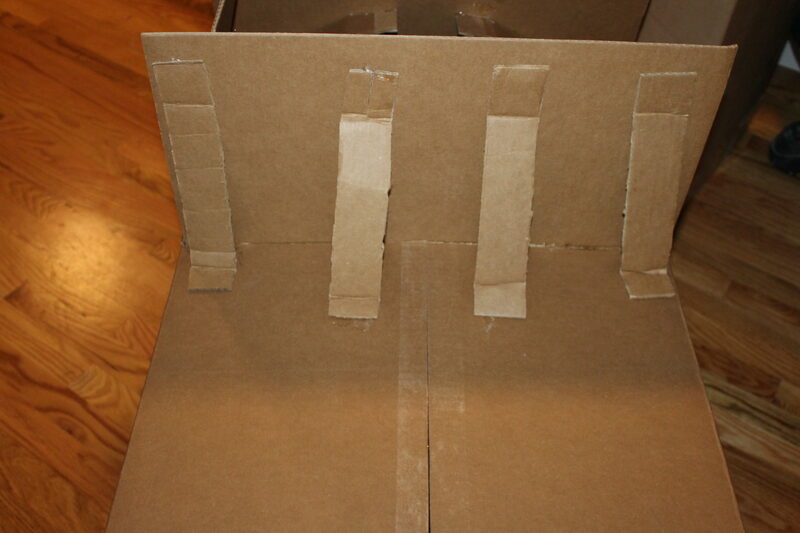 On the backside, I cut off the top side flaps. Also on the back, I cut the top & bottom flaps. I cut them carefully, as one of those flaps was going to be my counter & I wanted it in good shape. 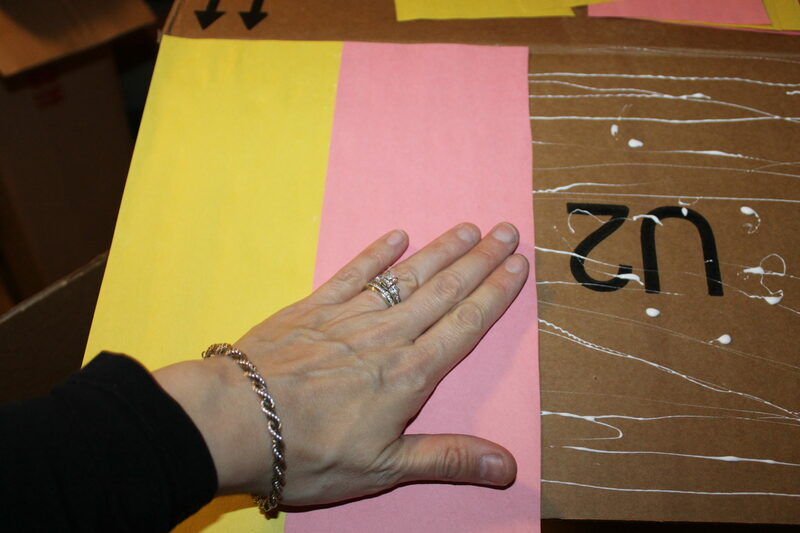 For the front section, I had to tape the bottom side flaps together & then tape them to the bottom of the box. I removed the front bottom flap as well, but left the top for the awning. 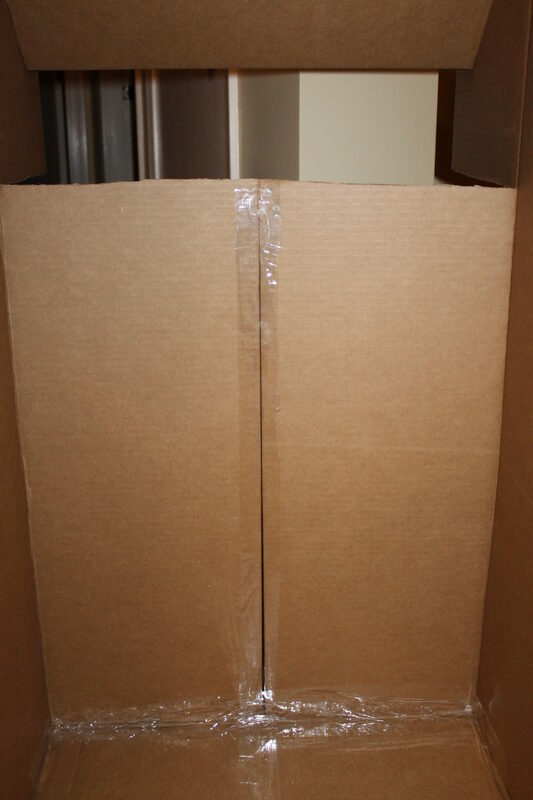 Here is a view of what the box looked like from behind. I cut the top side flap in half like shown below & then cut more off of the top portion so that I could lower the top flap down & to form a slant for the awning. I glued the awning in place. I used one of the removed top/bottom flaps to form my counter & then glued it in place at the top of the taped front portion. 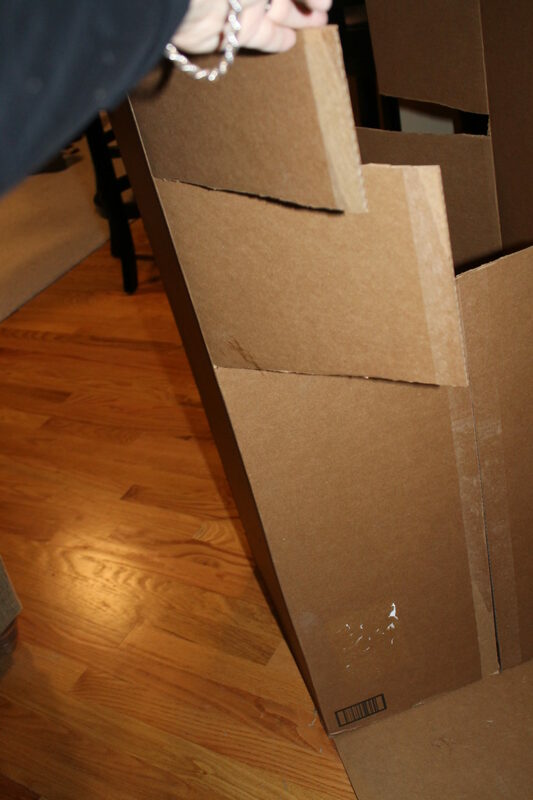 I cut narrow pieces of cardboard width wise from another previously removed flap to form braces for the counter. I bent the narrow pieces on both ends. Then glued all 4 braces in place using a glue gun to hold the counter underneath. Once the body of the stand was assembled, the fun began. I cut pieces of construction paper to form the awning. I painted the counter & windows & then used decorative masking tape in several placed to add just a bit more color. When my daughter woke in the morning, her face lit right up. 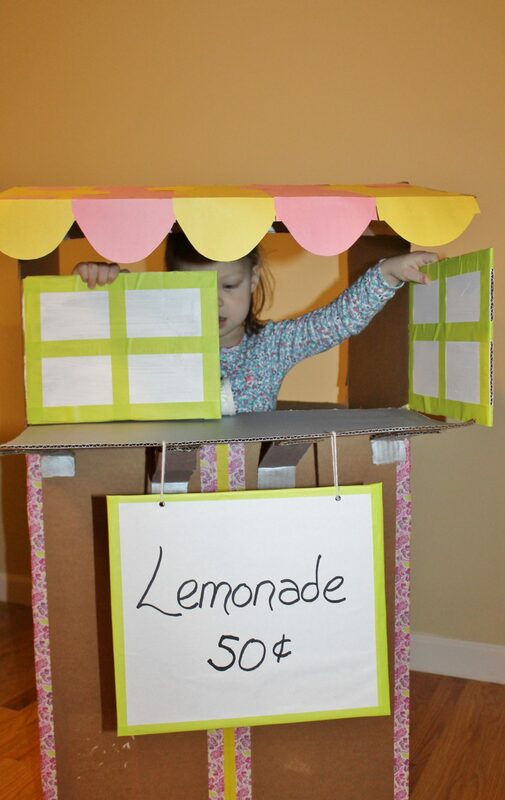 She could not wait to start selling lemonade to mommy & daddy. 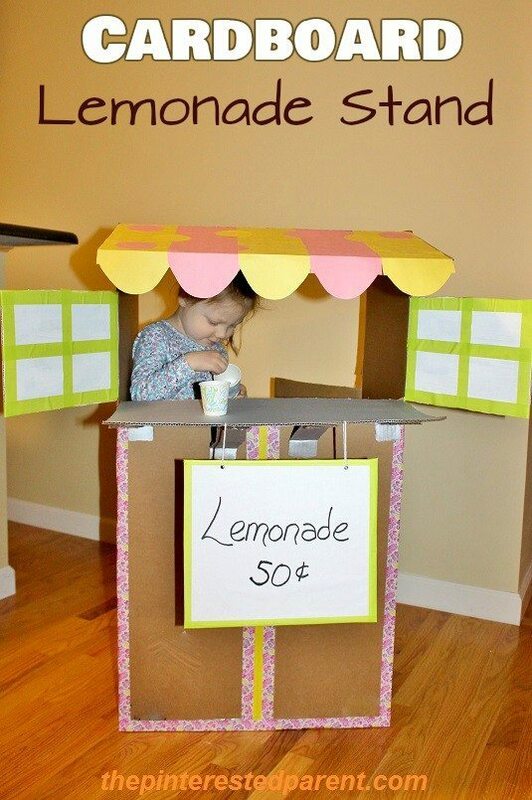 The lemonade stand is open for business. How creative! 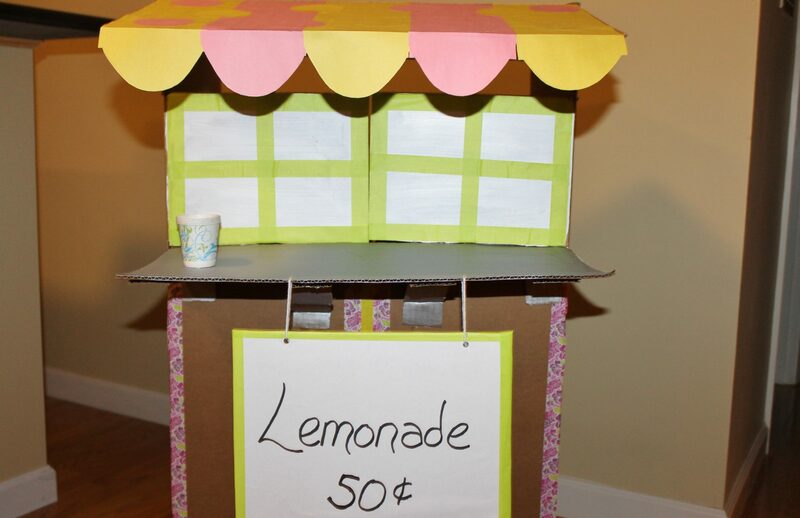 Your crafting skills are seriously impressive, this lemonade stand is adorable! Thank you very much. My daughter loved it.